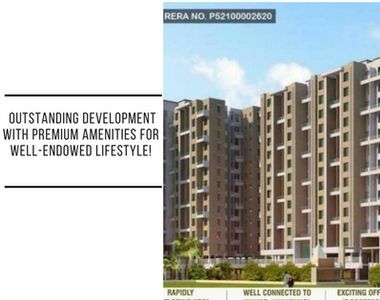 Own A Luxury Lifestyle Inspired by Goel Ganga Developer. 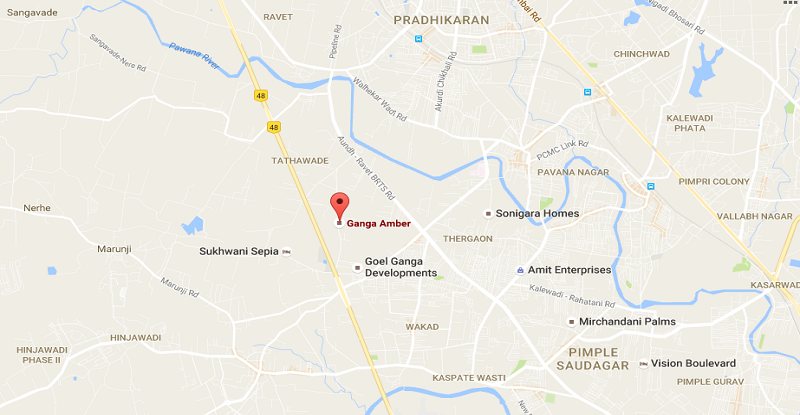 Goel Ganga Amber : Smart yet Affordable Homes in Pune! Renowned developer Goel Ganga has launched a new project called Goel Ganga Amber in Pune. The developer is known for making homes that are not just great but are designed to make your life blissful and improve your standard of living. Ganga Amber offers beautiful 1 & 2 BHK apartments in Tathawade, Pune, which are designed to give maximum space efficiency. Each apartment has huge windows and balconies to give ample sunlight and enjoy the beautiful surroundings which will leave you speechless with its perfection. The complex has everything that you have ever dreamed of in your home. The project has earthquake-resistant R.C.C. frame structure and lightweight block masonry for external & internal walls. It has a neeru finish/ plaster of Paris/ gypsum finish for internal plaster. There are vitrified flooring in living room, kitchen, and bedrooms. The builder has put ceramic flooring in toilets and terraces. It has a granite kitchen with stainless steel sink, ceramic dado tiles up to the lintel level, and separate plumbing connections for drinking water and washing water. There is also a provision for washing machine in a dry balcony. The main entrance door has a lock and nameplate and there is an aluminium sliding door for terrace opening. There are powder-coated aluminium sliding windows with mosquito net. Each apartment has premium fixtures and fittings. There is a provision of DTH cabling and telephone connection in living and master bedroom. The apartments have OBD paint on internal walls and external paint with elevation effect. The eco-friendly project has solar-heated water system for the master bedroom, plumbing provision for geyser for hot water in common bathroom, and electrical provision for geyser for hot water in common bathroom. The gated complex has complete security including 24-hour manned security, CCTV surveillance, intercom facility, and more. There is reserved car parking for every apartment. The complex has a number of modern amenities including fitness and relaxation zones that are meant for all age groups and will suit varied tastes. There are jogging tracks, green parks, landscaped gardens, indoor games, fully-loaded clubhouse, gymnasium, and kids’ play area. For sports enthusiasts, there is a basketball court and cricket net. There is a Yoga area, an open amphitheatre, badminton court, skating rink, sauna, Jacuzzi, multi-purpose party hall, BBQ pit, senior citizens’ area, and a tennis court. You will be able to make the most of your life with these amazing amenities at Goel Ganga Developments’ Ganga Amber. Strategically located, Goel Ganga Amber Pune is close to workplaces such as Hinjewadi and Wakad. The project has been designed thoughtfully to meet your every need. The complex has a well-connected locality, pocket-friendly prices, and a good neighbourhood with workplaces nearby which help you maintain the perfect ‘work-life balance’. Goel Ganga Amber price starts at just Rs. 40.39 lakhs which makes it extremely affordable. The developer is offering easy payment schemes as well as attractive discounts for buyers. So hurry and book your dream home now! Goel Ganga developers have launched 63 projects covering over 60 million sq. ft. and is known for its quality construction and timely delivery. The builder is behind many of Pune's most advanced and prestigious construction projects. The real estate developer is recognized as a reputed brand for its construction technologies, innovative solutions, and creative designs. The developer’s latest offering, Goel Ganga Amber, is one of the most sought-after Properties in Pune.